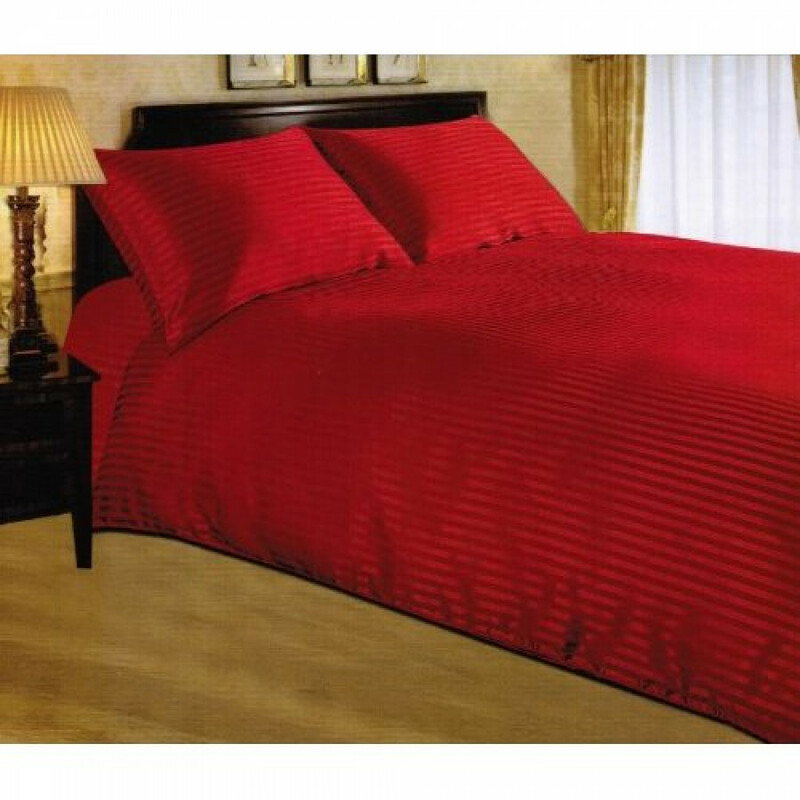 Indulge in luxury with this sumptuous fitted sheet in vibrant red colour with satin strips that will surely add charm to your bedding. This quality fitted sheet has 20 cm depth that envelops your mattress completely, giving you a clean and wrinkle free place to sleep. It is made from polyester material and is accessible in various sizes like Single (90cm x 190cm), Double (135cm x 190cm), King (150cm x 200cm) and superking (180cm x 200cm) sizes. Washing instructions: Machine Washable at 40 degree Celsius , Can Be Tumble Dried Wash with Similar Colours.